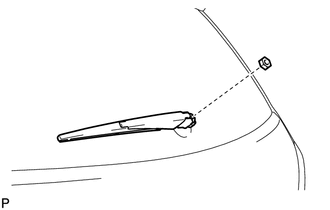 (a) Disengage the 4 claws and remove the rear wiper arm head cap as shown in the illustration. 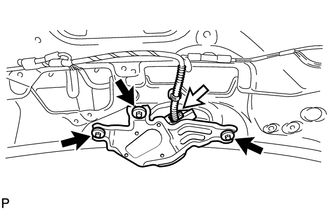 (a) Remove the nut and the rear wiper arm and blade assembly. 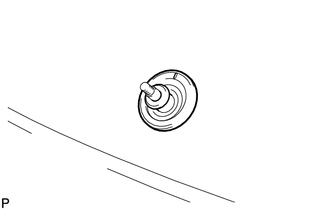 (a) Remove the rear wiper motor grommet. 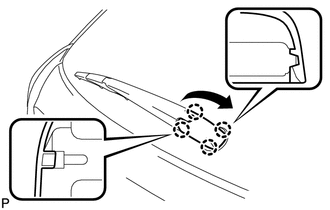 (b) Remove the 3 bolts and the rear wiper motor and bracket assembly.